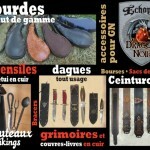 Since 2004, Au Dragon Noir stall offers leather creations of artisan Martial Grisé. 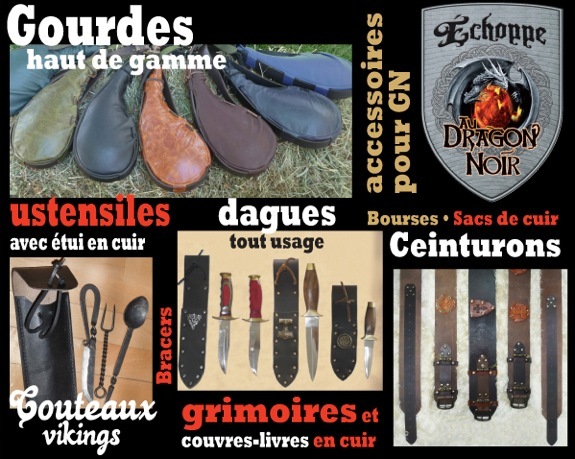 His products are top quality but affordable for amateurs LARPs. 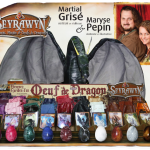 It also includes products derived of Seyrawyn collections, including the famous Dragon Eggs, which have now more than 15,000 dragon-gards! 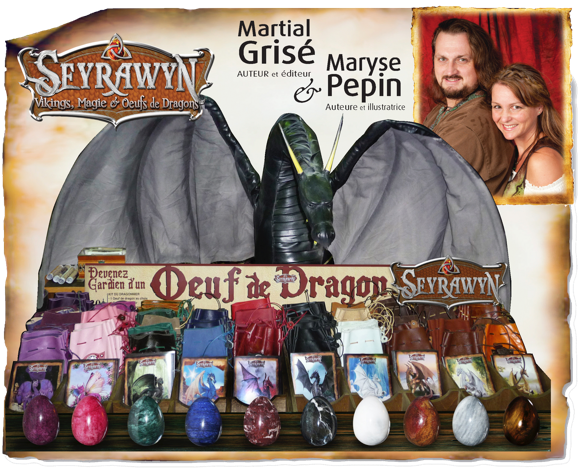 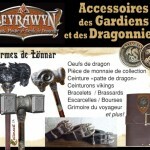 Seyrawyn is published by Éditions McGray owned by Martial Grisé and Maryse Pépin. 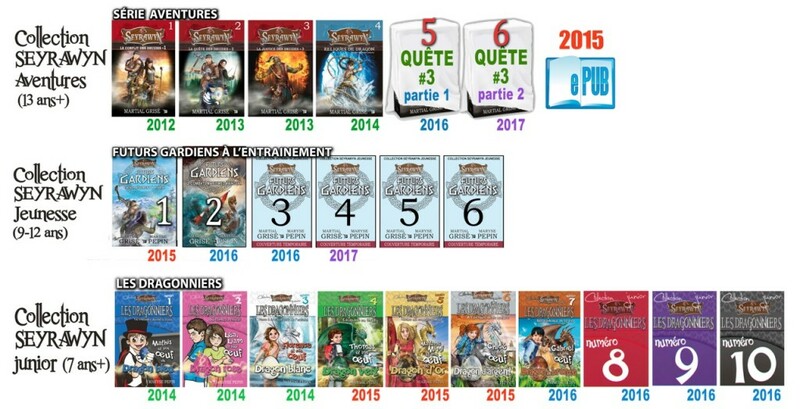 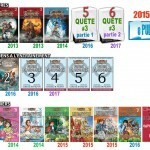 It is a medieval fantasy series bestseller in Quebec which comes in novels for all ages from 7 years-old to adult. 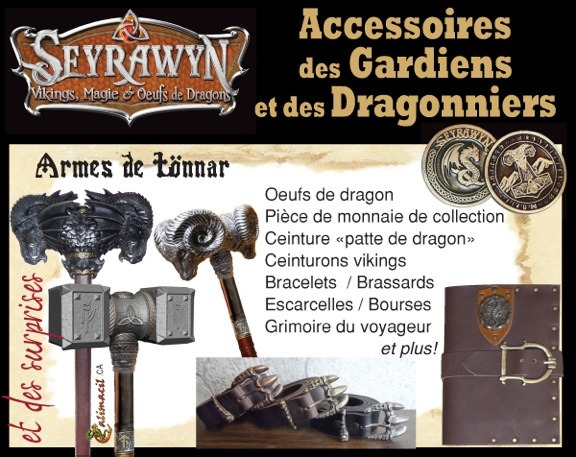 We invite you so that you can also be part of the magic !